The OCZ StealthXStream2 600W is aimed at those of us with mainstream systems and modest gaming needs, but that still desire a quality power supply. It'll happily delivers power to multiple system components that include PCI-E graphics cards and SATA devices from four 12 volt rails as standard. Under loading total efficiency for the OCZ StealthXStream2 600W put it second out of seven similarly classed power supplies, only losing out to the Antec TruePower 550W by the narrowest of margins. However, it beat all competitors in the standby efficiency stakes, finishing an impressive first in its class. 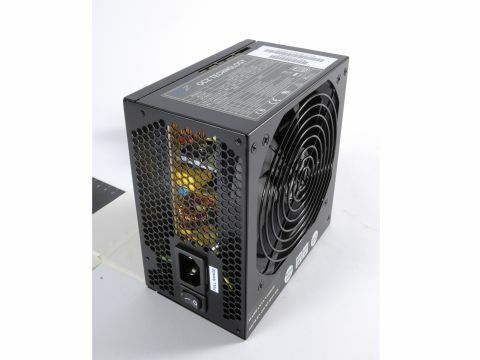 Despite its 120mm fan, this PSU came in at the mid-range mark on decibel noise, when compared to similar power supplies like the Spire Blackmoon 650W at the louder end and the Xigmatek NRP 600W on the quieter side. The fan – aided by additional air outlets on the supply – vented heat well, helping to keep the PC cooler on the inside than at the exhaust, and the PSU cables did not significantly heat up during the highest load tests. In specific tests, the OCZ StealthXStream2 600W successfully met 100 per cent of the manufacturer's claimed performance figures, based on real-world scenarios for its 12 volt rails. The tested rails were also all within the ATX specified tolerances and happily conformed to the standard. The OCZ StealthXStream2 600W produced an almost flat line on voltage noise at a 75 per cent load test, making it virtually jitter free, helping to provide a low level of electrical interference. We found the build quality of the OCZ StealthXStream2 600W to be pleasingly generally robust, despite its uninspiring black casing and an internal black fan. It has bog-standard dimensions of 140 x 86 x 150mm, while the weight of the OCZ Stealth XStream2 600W is just 1.863kg. The manufacturers' stated AC power input is 100-240 V 9.5-4.5A 50-60Hz. The OCZ Stealth XStream2 600W ships with 13 well selected output connectors; 1x ATX 20/24-pin connector, 1x CPU 4+4-pin connector, 1x PCI Express 6/8-pin connector, 1x PCI Express 6-pin connector, 3x SATA connectors, 5x 4-pin peripheral (MOLEX) connectors, and 1x floppy connector. For a low-end power supply, the power performance was excellent. It could do with improvements to its noise levels, and an extra PCIe connector would definitely please us.